For STUDIO 100, we did several packaging designs and animated tv commercials. 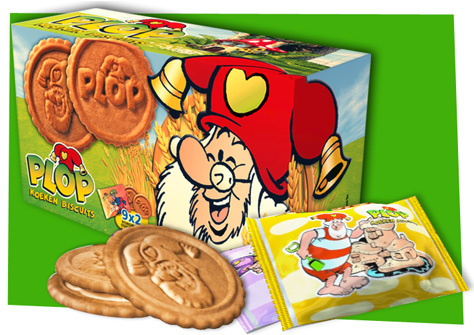 These were for the delicious Plop cookies that come in regular, strawberry and chocolate (yummie!) variations. 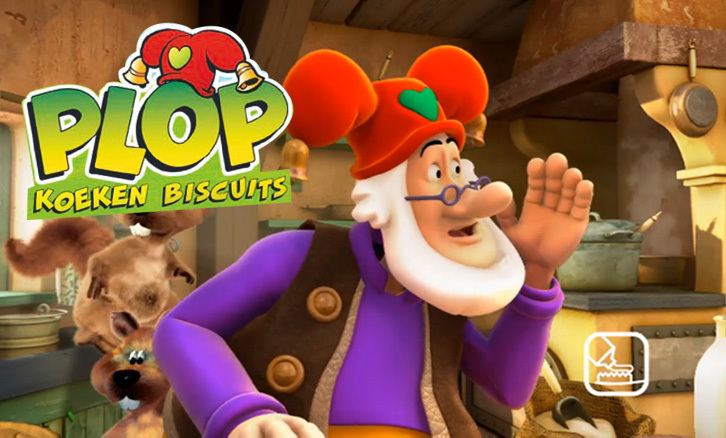 Plop is a very popular live action tv show about a gnome and his friends. This was the first commercial we did for Plop. 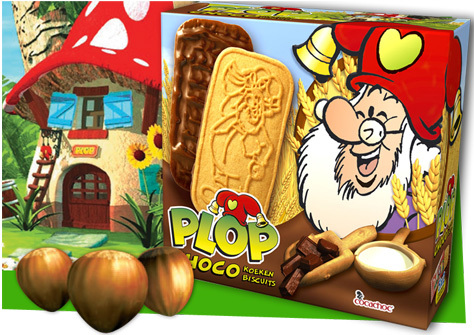 Because we weren’t allowed to use the characters back then, we came up with another way of introducing the whole Plop-world. Discover it yourself! Oh, by the way, immediately after the launch of this campaign the sales went sky-high. Plopper-de-plopper-de-plop! Studio 100 also asked us to redesign the packaging. So the first thing we did was reducing Plop to his essence: his very recognizable face and head. It took us some time to convince them of this change, since they were used to portrait the whole character as a brand. Because of the sales success of the redesign and the whole campaign, Studio 100 asked us to do our magic on the chocolate one to. And hey, who can say no to chocolate? !